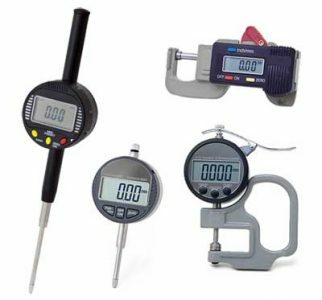 The use of a dial indicator as a precision measurement tool is universal and indispensable. No matter which CNC machine shop, injection mold making shop, or tool and die shop you visit, you see dial indicators in use everywhere. Check spindle runout in any machine tool. Mounting in a fixture to inspect work in a Bridgeport milling machine, or any other vertical machining center, 5 axis milling machine or high speed machining center. The list goes on and on because this inspection tool is so flexible and useful. 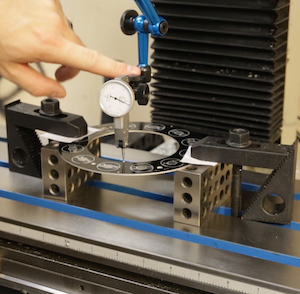 With a minimum of set-up and fuss, a precision machinist or toolmaker can gain a wealth of knowledge about his part, be certain it is properly set-up and the right size. For injection mold makers, tool and die makers and precision machinists there are essentially two types of indicators: test indicators and plunger type, or travel indicators. They are similar, yet distinctly different in application. All of these are known for their quality and repeatability. It makes no sense whatsoever to buy a cheap imitation if you are doing serious toolmaking. You will only regret it in the end. Test indicators are the ones that look like the face of a watch with a needle out one side. These indicators are extremely versatile and flexible. The dial is adjustable, the needle is adjustable, and some have a mounting shank that can also be adjusted. Together with a magnetic base or height stand, you can inspect almost anything in a modern machine shop. It is necessary to have a flat, calibrated granite surface plate to ensure accurate readings with any dial indicator. 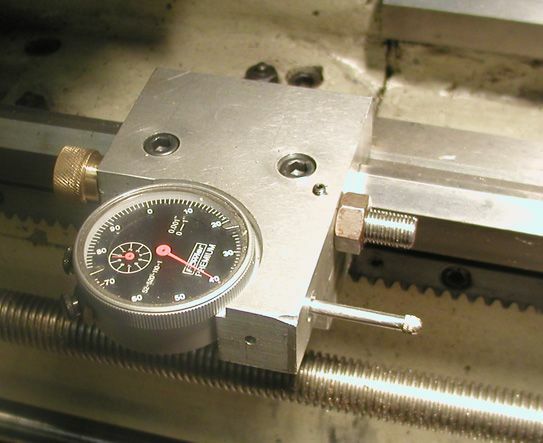 The surface gauge must also be free from chirping, or making vibration sounds when moved across the surface plate. The indicator must be stable and free from distortion. I have seen many that actually flex when you blow on them! Not much reliability there! Plunger, travel, dial or whatever you might call this style of indicator, it is a mainstay of manufacturing. These are used daily in a variety of applications. Plunger type indicators are the larger ones that have a clock like face and a straight plunger out one side. These can either be mechanical or electronic. These have the advantage over test indicators in that they have much greater range, or travel. Most have at least 1 inch of travel, but they are available in longer lengths as well. Plunger indicators are commonly used to monitor movement of parts. They are also used in production to monitor the registering of moving parts, such as in an injection molding machine. A common tool room use is on the lathe. This is convenient for longitudinal travel along the ways of the lathe. Core pins, punches and long components are often made using a plunger type indicator. Dial indicator repair and calibration is very important. Over time, the tips become worn, the jewels worn and the face can become damaged. A trip to the dial indicator repair shop is a good investment. If your indicators are sticking and you don’t notice, you can easily produce a lot of scrap in a hurry!